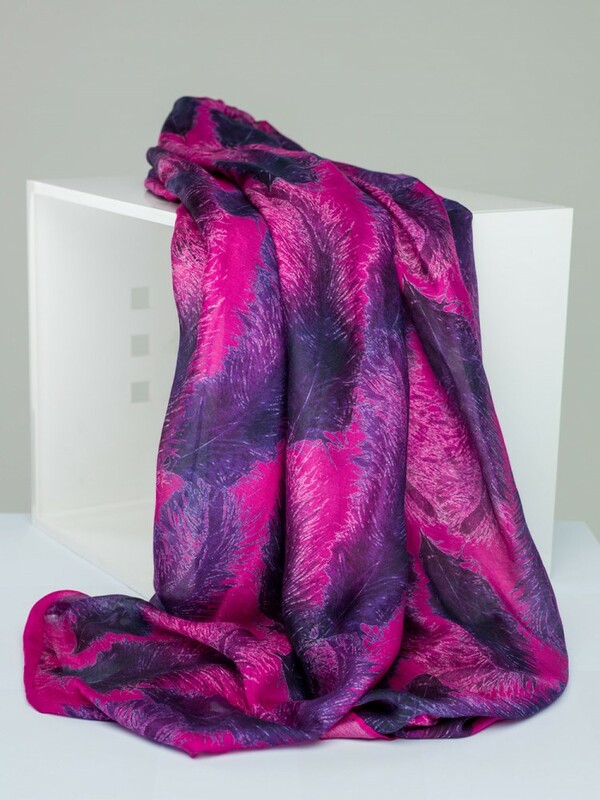 our limited edition silk scarves, exclusively available from our atelier are a treat for collectors of art scarves. 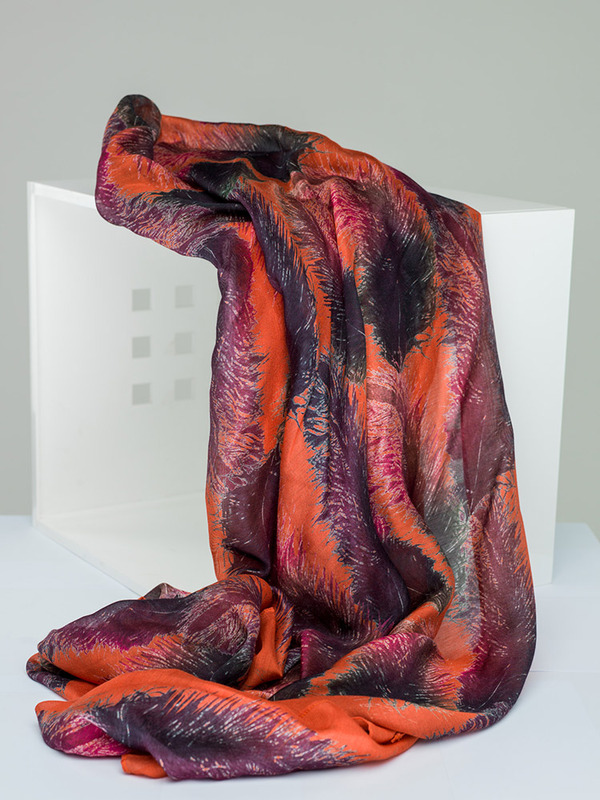 this edition of scarves features our signature ostrich feather print comes in several colors; fuchsia, navy blue, burnt orange and steel grey. 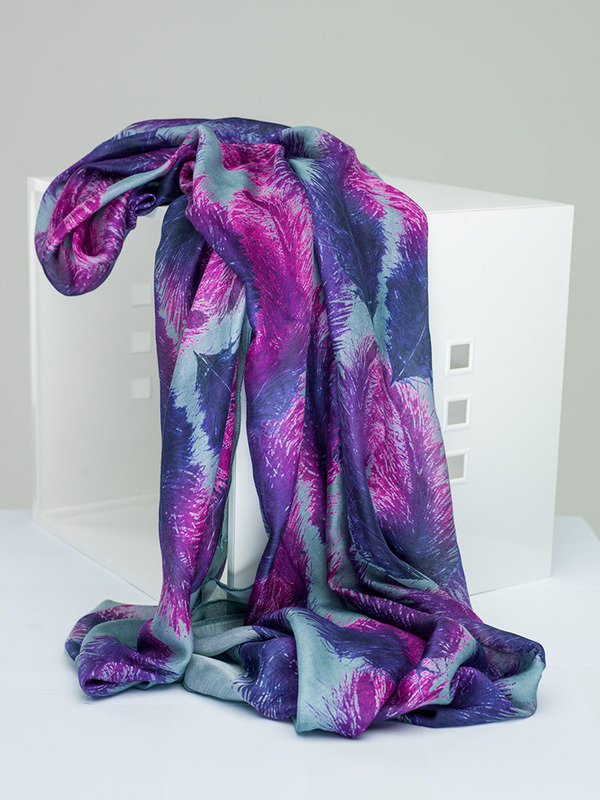 each scarf is 68cm X 220 cm. 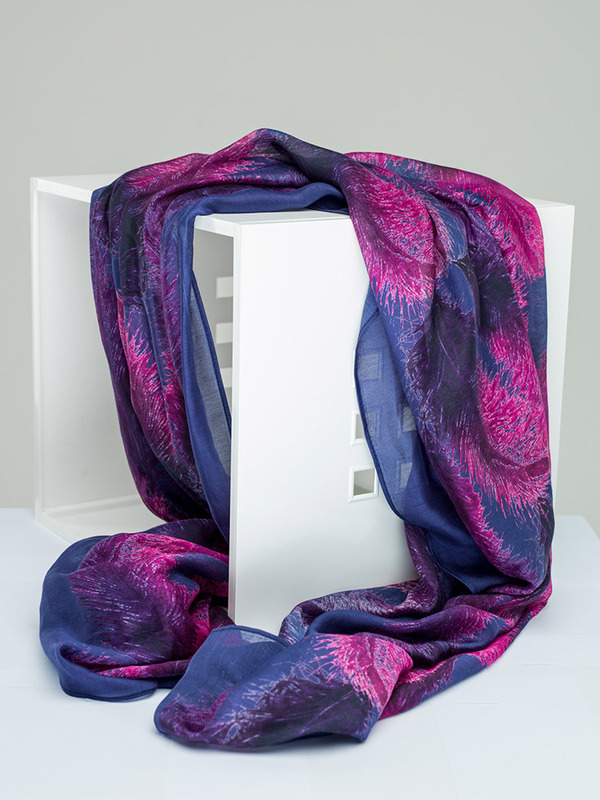 our scarves are carefully packaged and shipped world-wide.